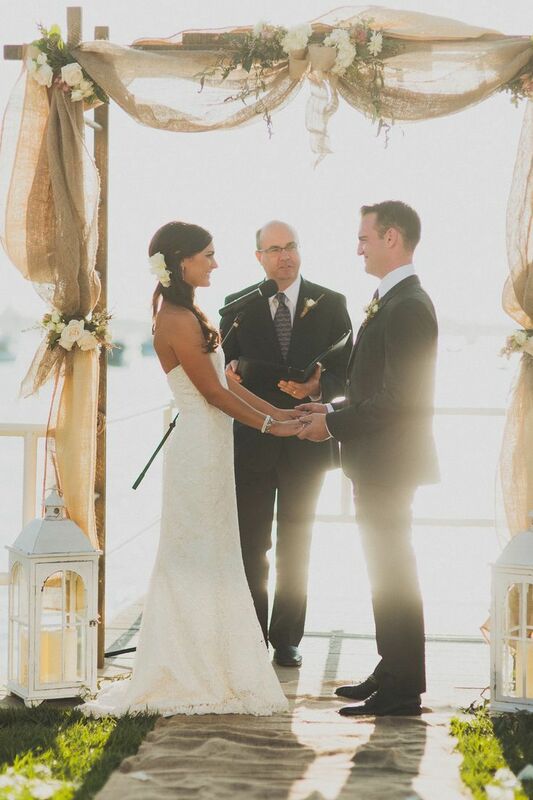 Burlap is a cheap but decorative fabric that can be used for any wedding decoration. You can create a rustic atmosphere with it or simply add it to your traditional table wedding decor to replace more expensive options. You can do anything with it. From using it as tablecloth to sewing cutlery pockets to decorating chairs. Burlap runners are great for table decor. They can be enhanced with lace or used plain. You can also decorate your table centerpieces with burlap and seasonal flowers for an enhanced rustic feel. 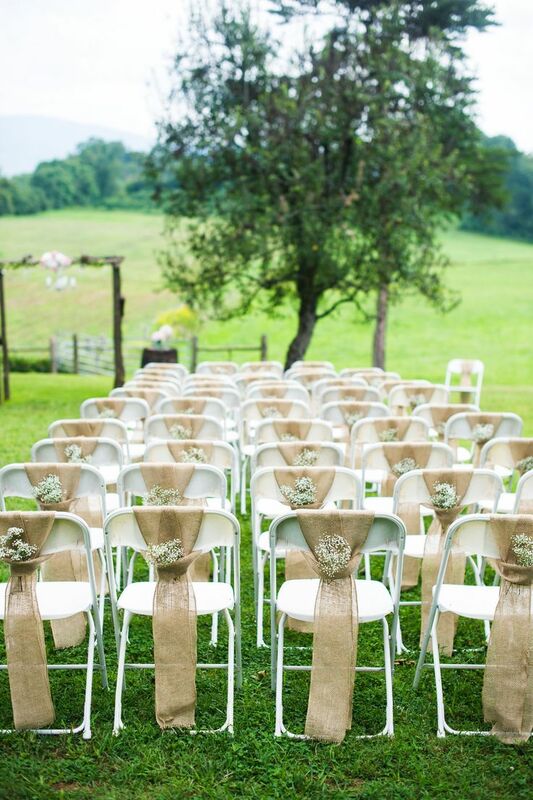 If you need to decorate ugly chairs for the ceremony, burlap can definitely help. 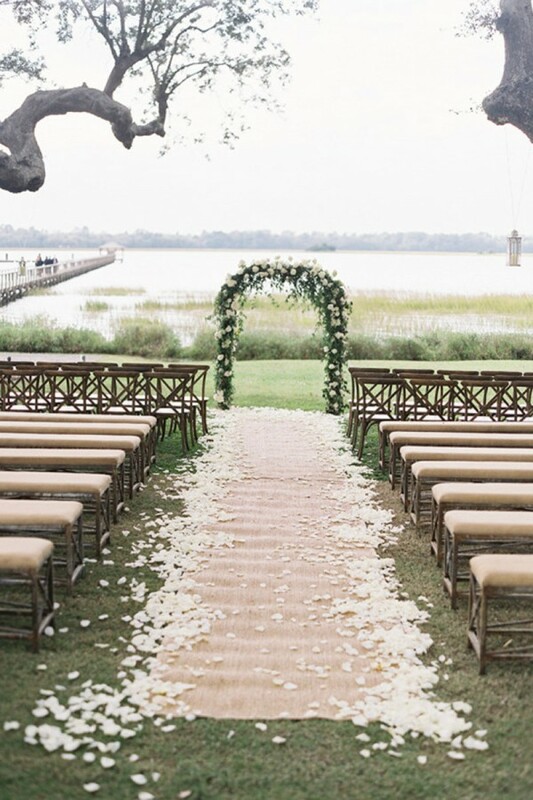 You can also use it as an aisle runner, wedding arch decor, and seat cover. 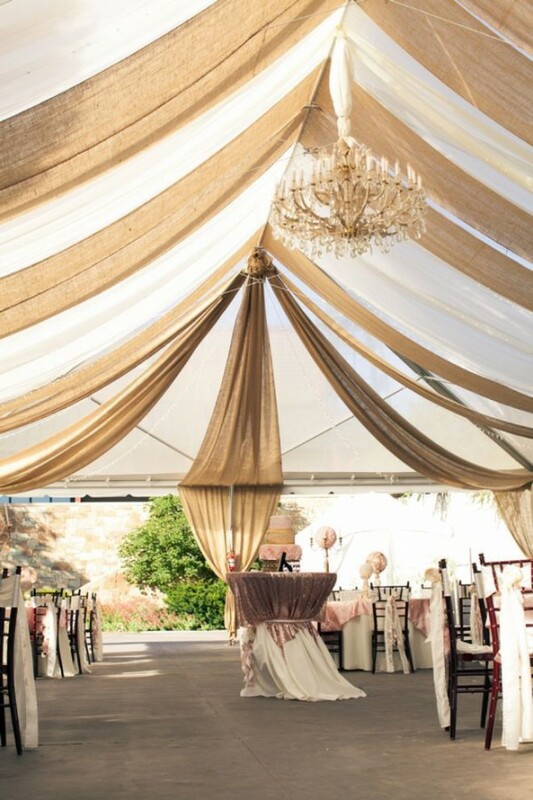 The venue decorated with burlap and white cloth will definitely make an impression. Add sequined accents and you’ll get the most glam venue on a budget. 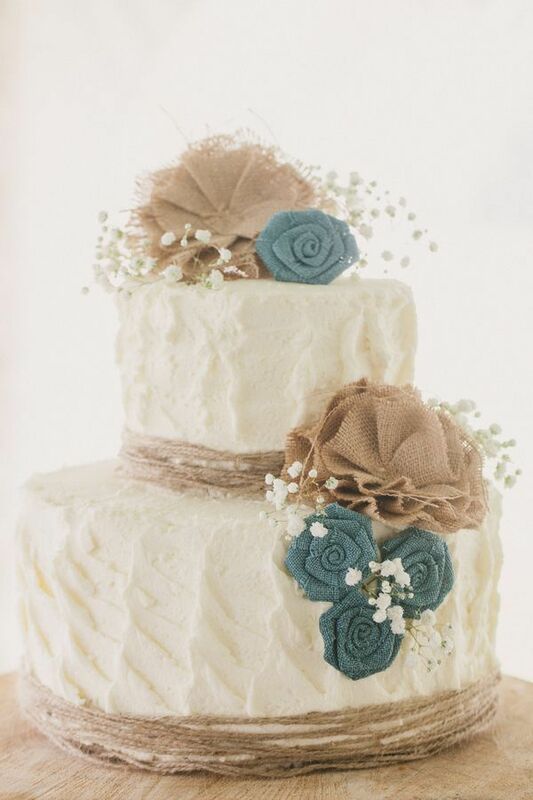 Even a cake can be decorated with burlap. You can ask that your cake professional made certain decorations or you could DIY and add them to liven up your buttercream confection.